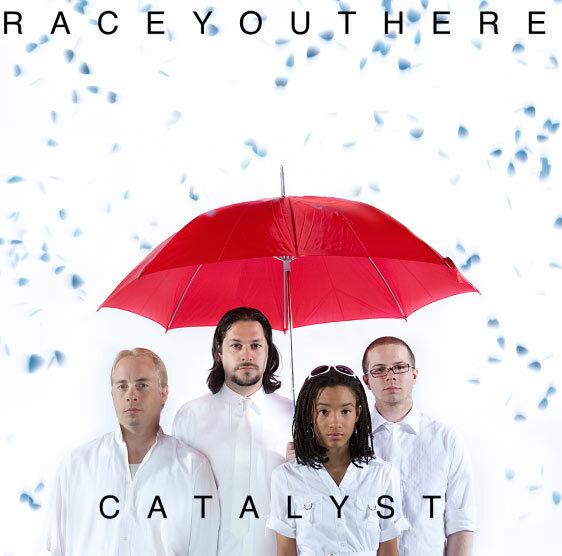 Much like a sprinter’s workout, Race You There alternates explosive energy with warm recovery tones in their April 2nd release, ‘Catalyst.’ These Arizona natives have been part of the Tucson music scene for nearly three years, releasing their debut album, ‘Acts of Treason’ in 2010. Why does it take you so long to learn the words to this desperate song? And why is it that I know them so well? I am clinging, again. This interaction with you is a treasure to me though. I won’t let it go so easily. ‘Cause when I break, I’ll take my time. And why not? Aren’t we all fragile? Aren’t we all just a little bit broken? Or is it just me, falling to pieces on the inside, grasping for an adhesive, some remedy to keep myself together? Always feeling on edge, one puff away from bursting. Am I the only one feeling this way? You sit there so silent and self assured. Your prominent confidence intimidates me. And yet it also draws me in. Me, wanting what you appear to have. Me, aching for a stronghold in this emotional tumult. Me, not wanting to let go and fly on my own though I know I’m long overdue for embarking on my own. Overdue. So long overdue. Find this song on Race You There’s 2010 debut release, ‘Acts of Treason.’ A four track follow up EP, ‘Catalyst’ is also available now. What is that one desparate song to which you know all the words?